Healthcare providers are on the front lines of ensuring adolescent health and wellness. Because adolescents don’t seek out preventive healthcare services in high numbers, providers should take every opportunity to make sure adolescents receive recommended clinical preventive services, including immunizations, screening and counseling about behaviors. This includes identifying reproductive health needs and providing access to STI/HIV screening and treatment and contraception. In fact, 77 percent of the decline in nationwide teen pregnancy rates among 15 to 17 year olds, and 100 percent among 18 to 19 year olds, are credited to increased contraceptive use. The lives of the young people visiting your practice change rapidly. That is why it is important to take time at every visit to check in about their need for contraception or STI/HIV testing. If you don’t ask, it is unlikely that they will speak up. ► Planned Parenthood of Central and Western New York, Inc. The CAP E-Learning Program is designed to support your healthcare team in gaining the knowledge and skills to deliver quality, client-centered and culturally competent contraceptive services to women, teens and LGBTQ youth. These courses are available at no cost for healthcare providers who are part of the HOPE Buffalo initiative.  Please ask your HOPE Buffalo team for your promo code to access the e-learning modules for free, including free CME and CNE credits.